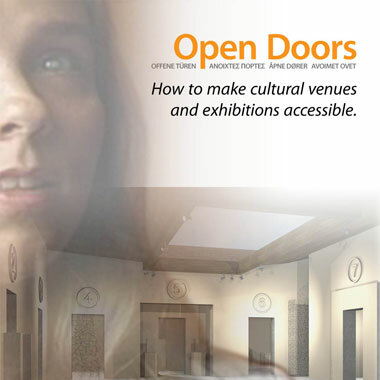 31th of January, the ACCU team will present their new DVD, “Open Doors”, which covers accessibility in musea. Signfuse has provided access to the DVD for sign language users. A part of the DVD, the introduction, which is about 7 minutes long, is translated into international sign by Sven Noben. The translation didnt happen to be litterally because of the nature of international sign. We’d wished to have translated the whole DVD, so that the menu and everything would have been accessible in sign language. Unfortunately there was no budget to make this possible. But as the purpose of this DVD is rather to make people managing a museum aware of the needs for “disabled” (excuse me the word) people, we are very happy to have contributed our share in making those people aware of the needs for Deaf people. We strongly hope this DVD will ave its effect and make sign language appear in musea all over Europe. The DVD “Open Doors” will be presented in Kiasma, Helsinki, at 15:00 on 31 january 2007.